"Our hearts and prayers are with the Messing family in this time of sadness. 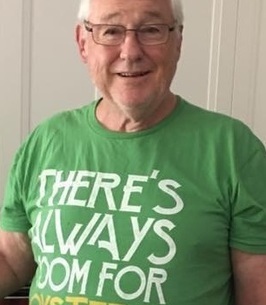 Knowing such a wonderful husband, father, grandfather and friend..."
Born January 1944, James Arthur Messing, one of 16 children, was born in the farm country of Minden City, Michigan. He passed away suddenly October 7, 2018. Jim led an interesting life. He was a Catholic seminary student from 9th grade through college. In 1968, he joined the Navy. He served his country on land and sea for almost 25 years. After that, he was a consultant for Booz Allen Hamilton until retirement. He and his wife, Rosalind retired to the Northern Neck of Virginia in 2010. Jim was always an active member of his church and choir. He was loved by many for his gentle kindness. In retirement, he became a proud oyster gardener, cultivating oysters in the creek behind the house. He loved to cut wood for the fireplace, feed birds, and give treats to the neighborhood dogs. His easy going manner was embraced by family and friends alike. He is survived by his wife, Roz; daughter ,Penny and son, Marcel; grandchildren, Kaden and Taylor; sisters, Bea, Rosy, Rita, Diane, Evelyn, Bernadette and Viola; brothers, Russ, Howard, Dennis and Ernie. He was preceded in death by his parents, Elmer and Alma Messing; and brothers, Leroy, Vincent, Patrick and Gerald. Family will receive guests 3-5 p. m. Tuesday, October 16, 2018 at Currie Funeral Home, Kilmarnock. A Mass will be held 11:00 a. m. Wednesday, October 17, 2018 at St. Francis de Sales Catholic Church, Kilmarnock. 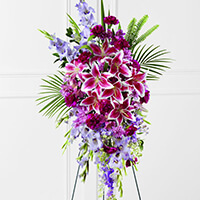 In lieu of flowers, please donate to a charity of your choice. 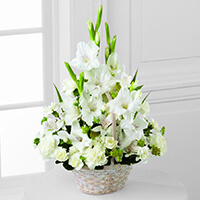 To send flowers to the family of James Arthur "Jim" Messing, please visit our Heartfelt Sympathies Store. Our condolences to our teammate, Marcel, and the rest of the family during this tough time. Thoughts and prayers will remain with all of you!